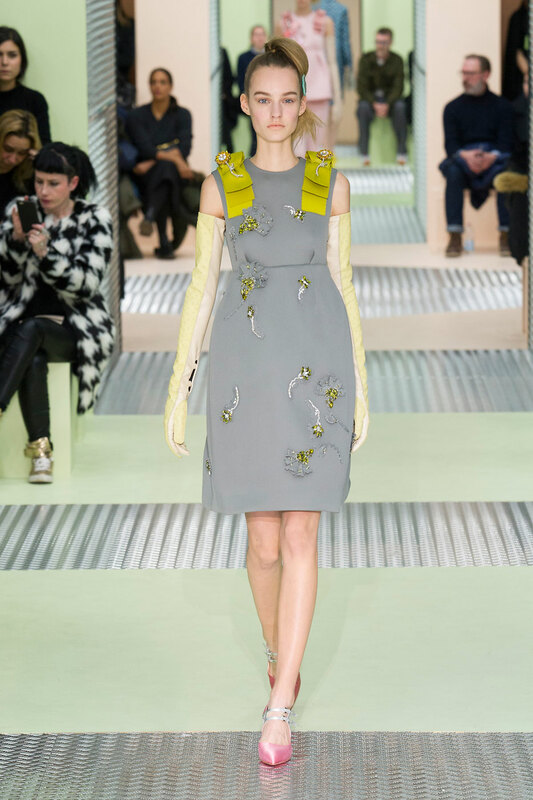 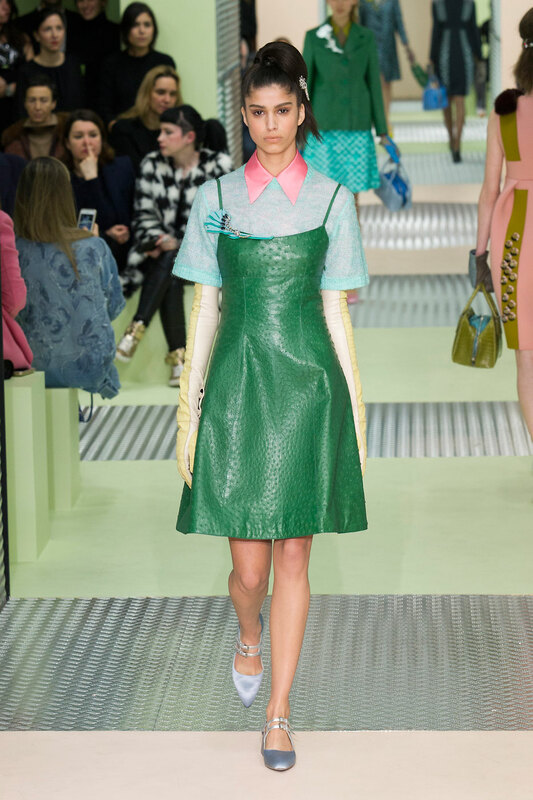 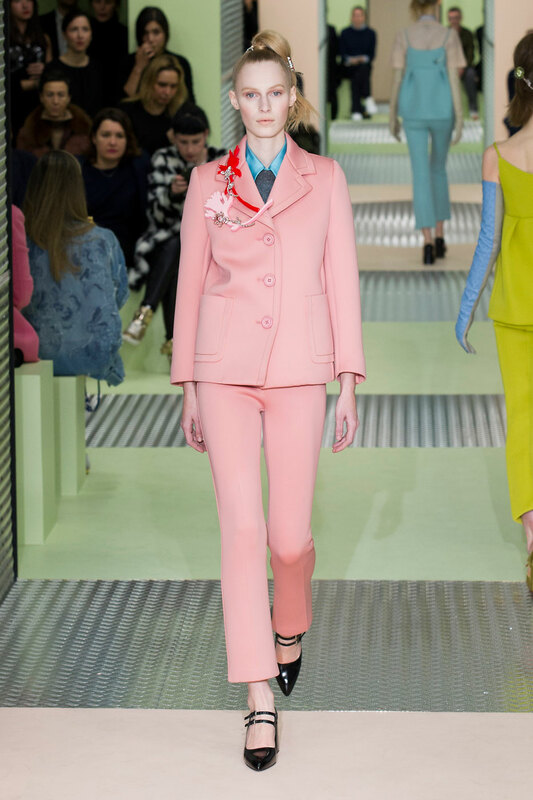 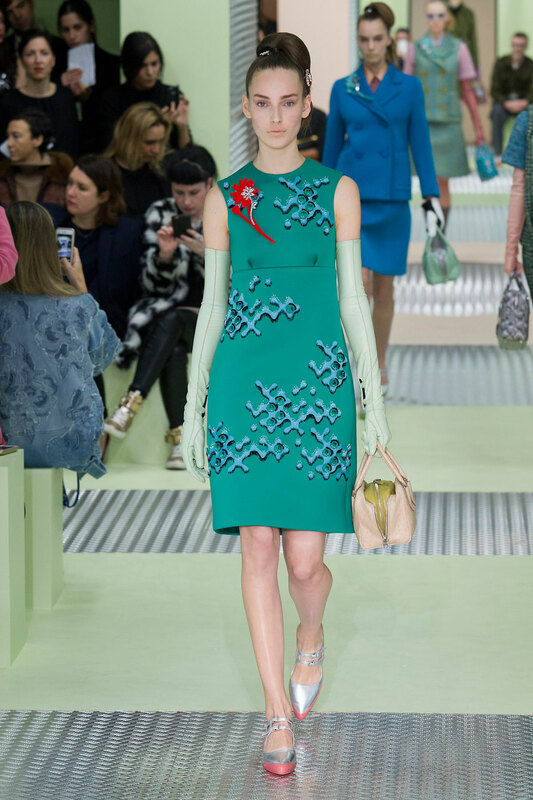 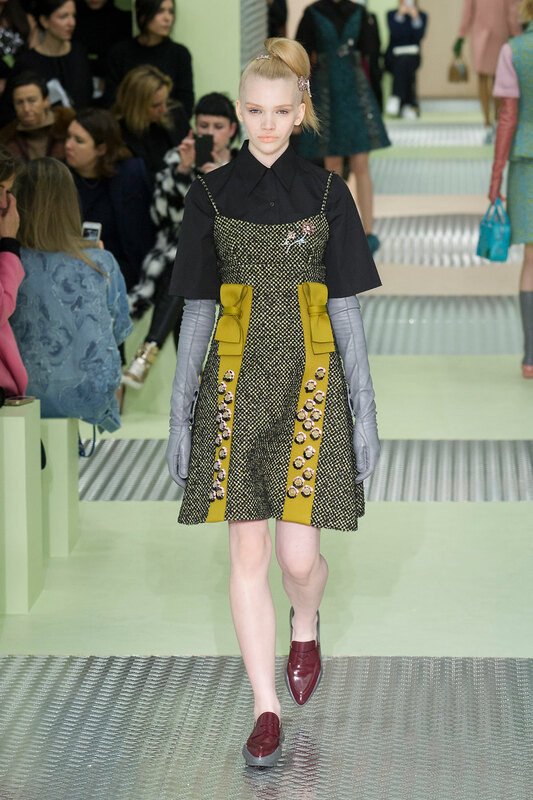 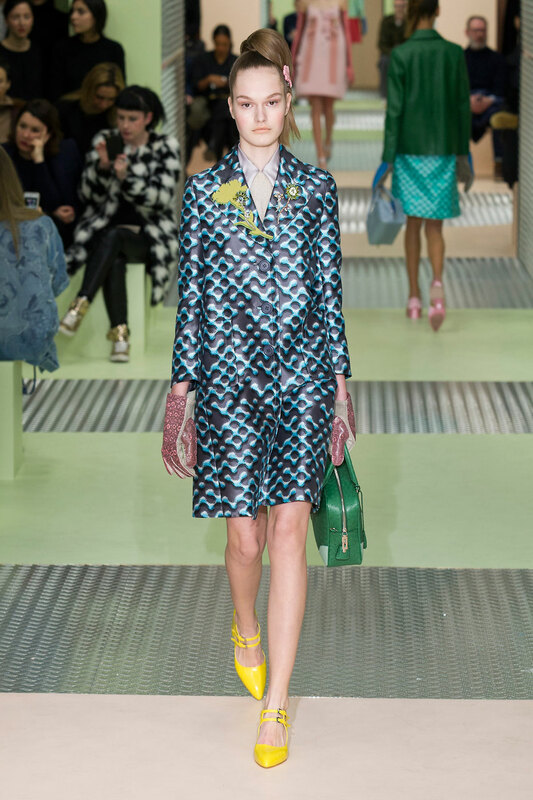 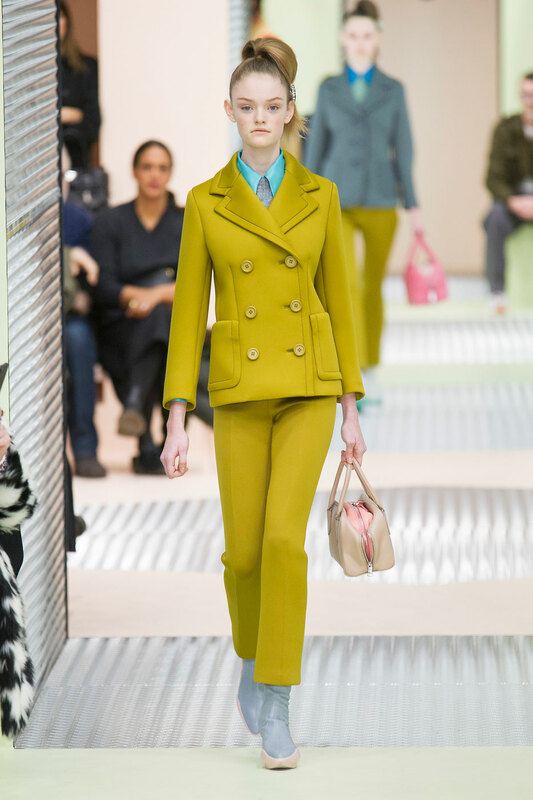 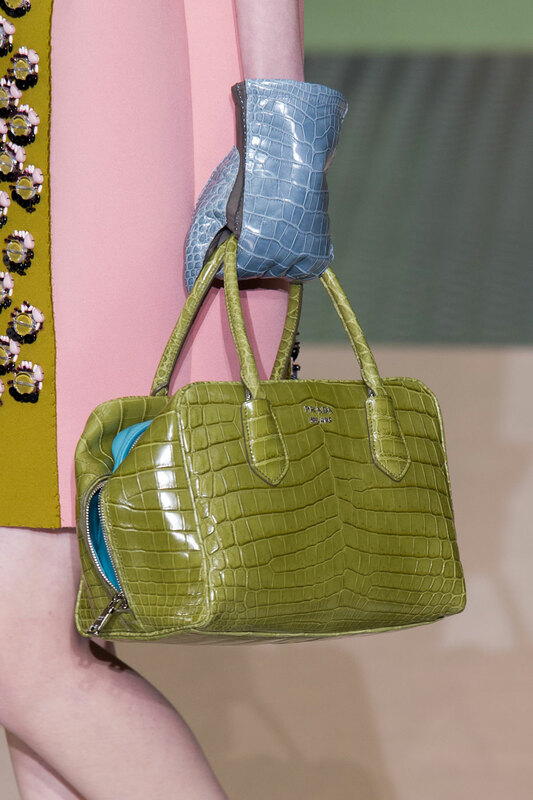 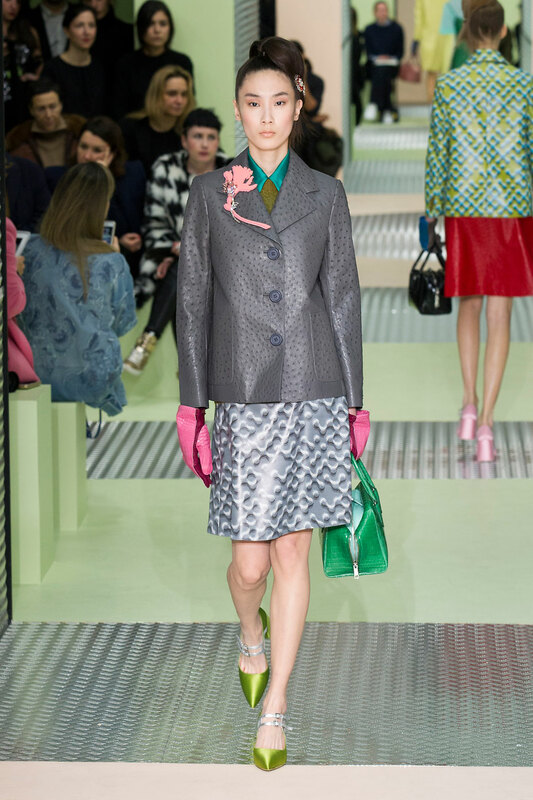 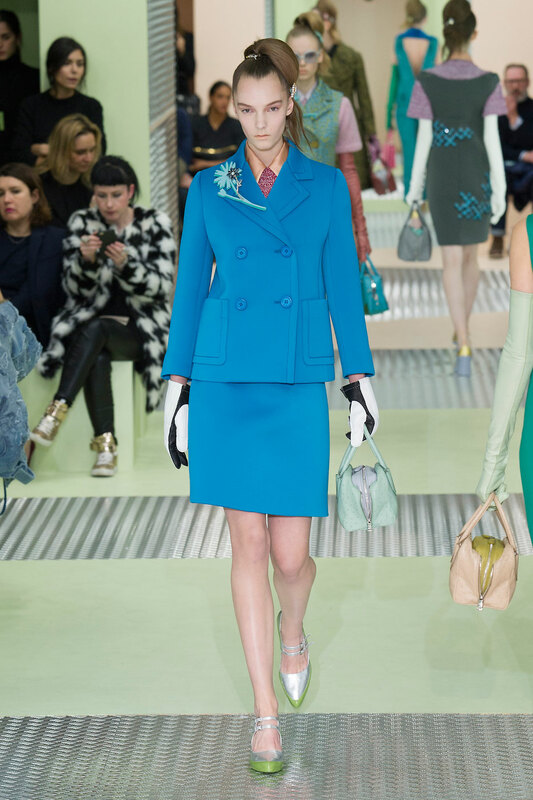 Prada Women Autumn-Winter 2015 - It was a presentation of genius that loudly screamed sixties femininity. 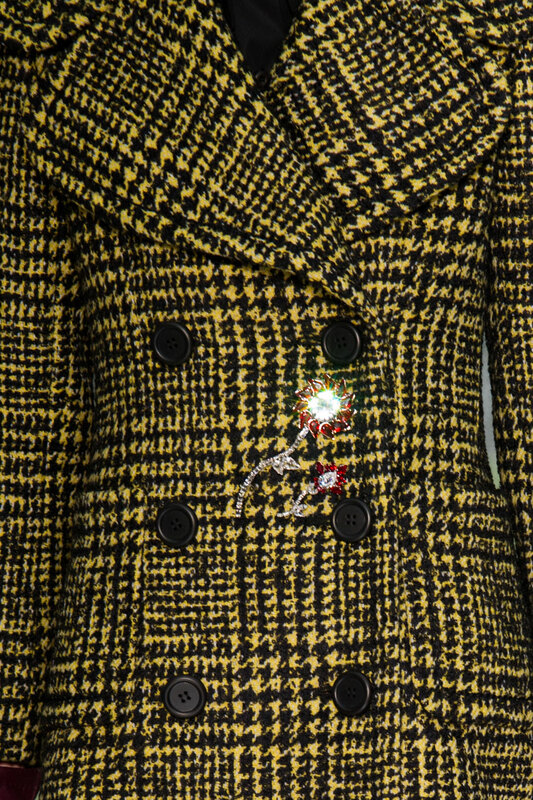 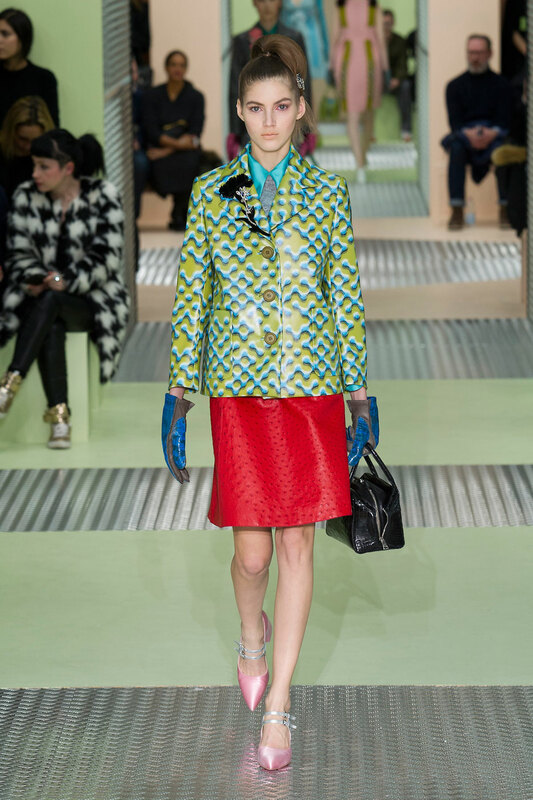 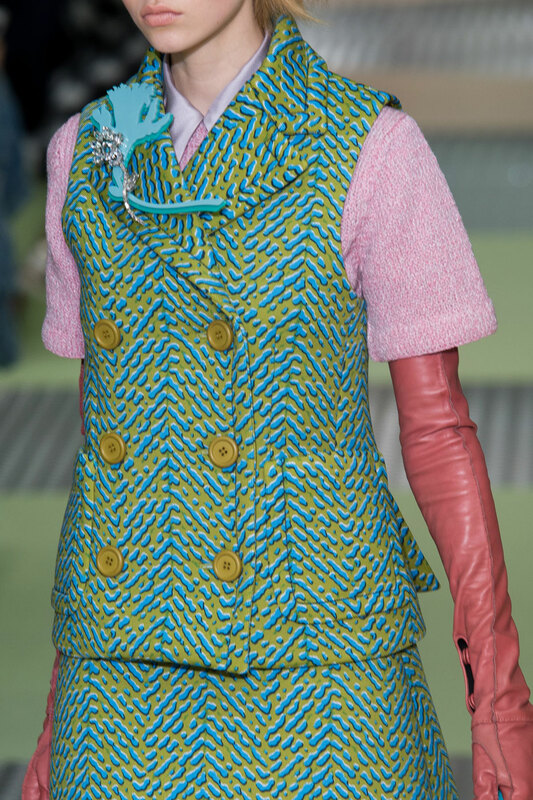 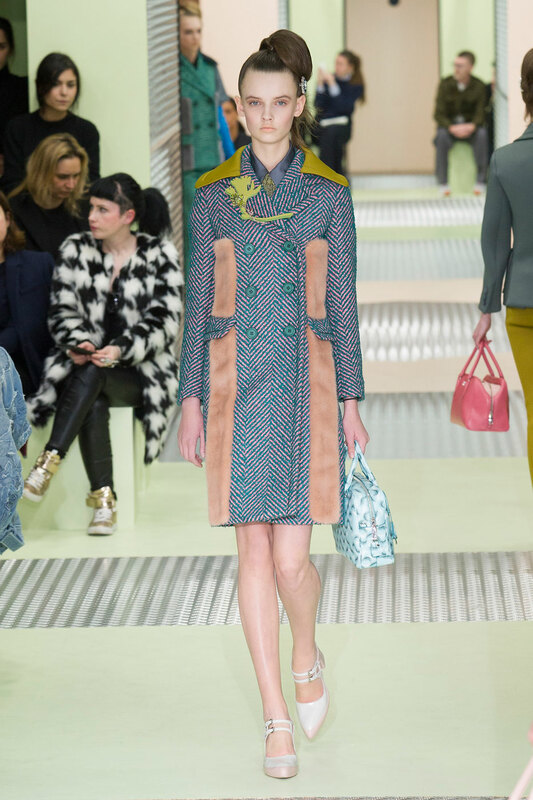 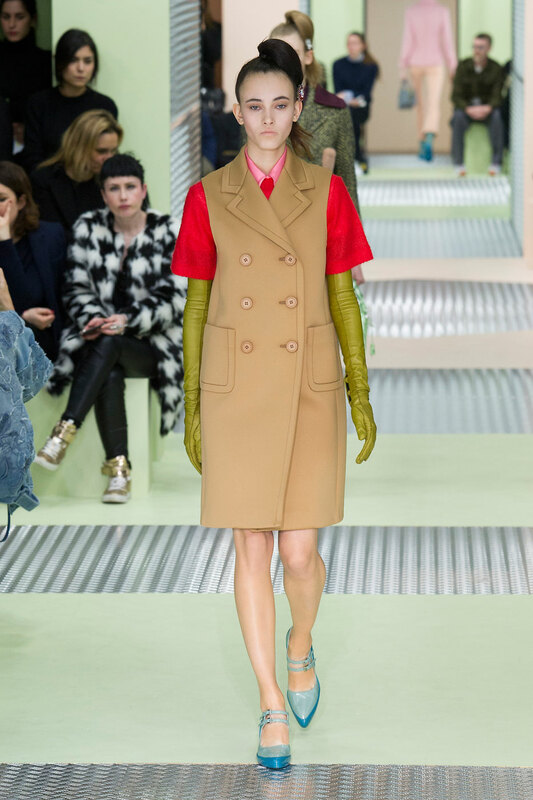 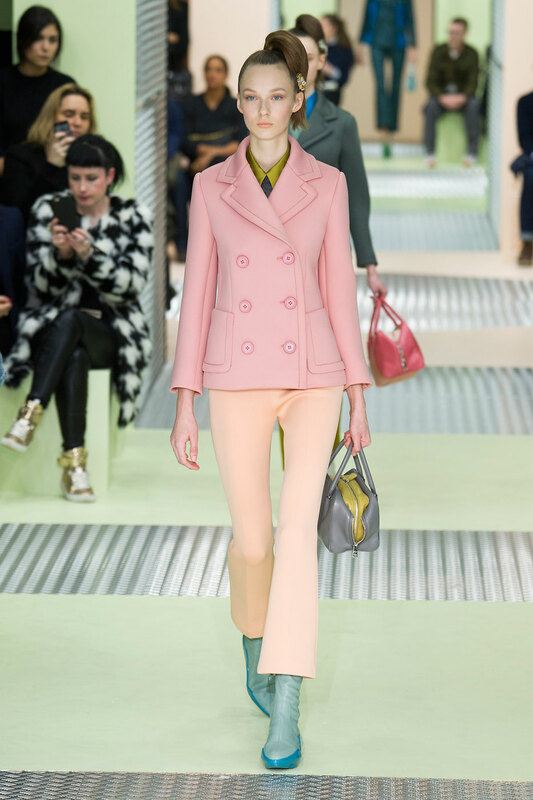 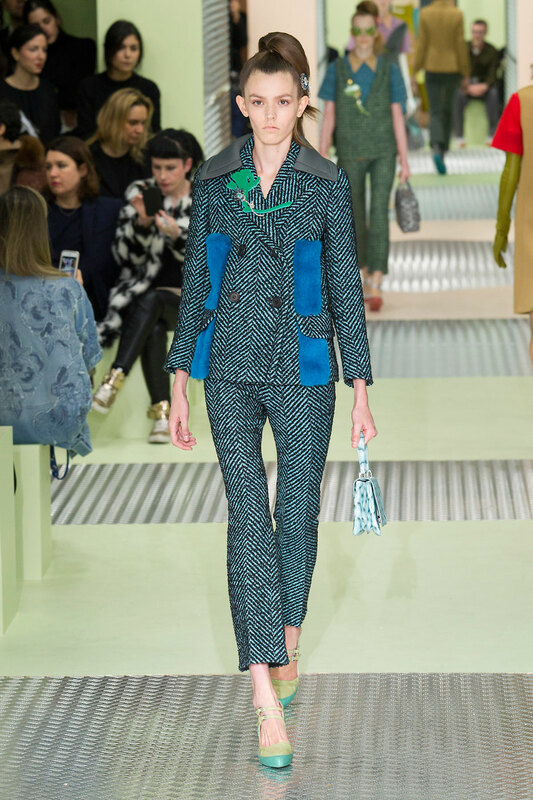 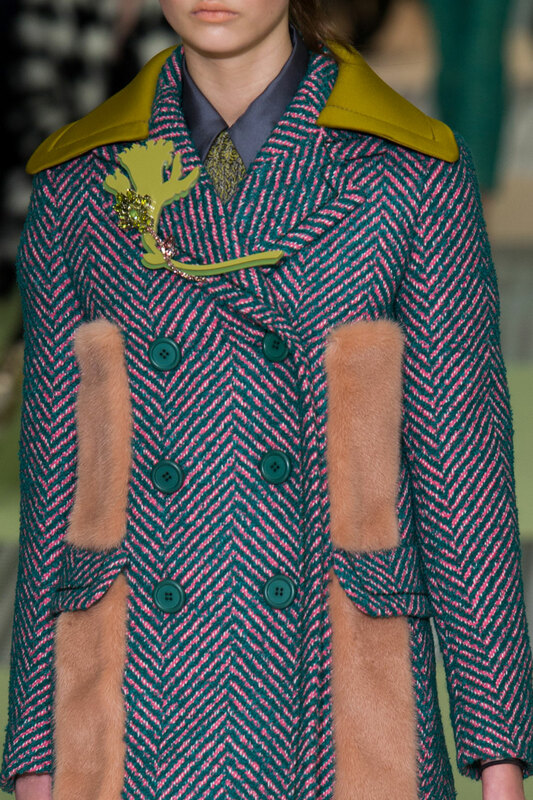 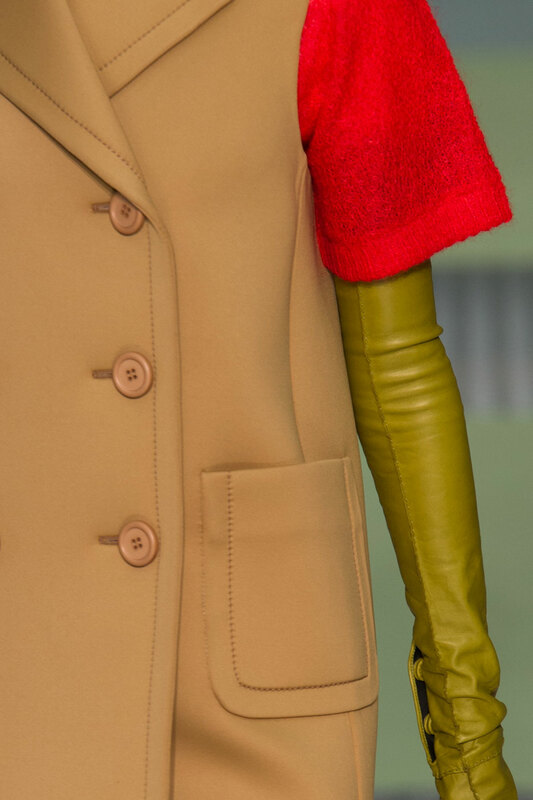 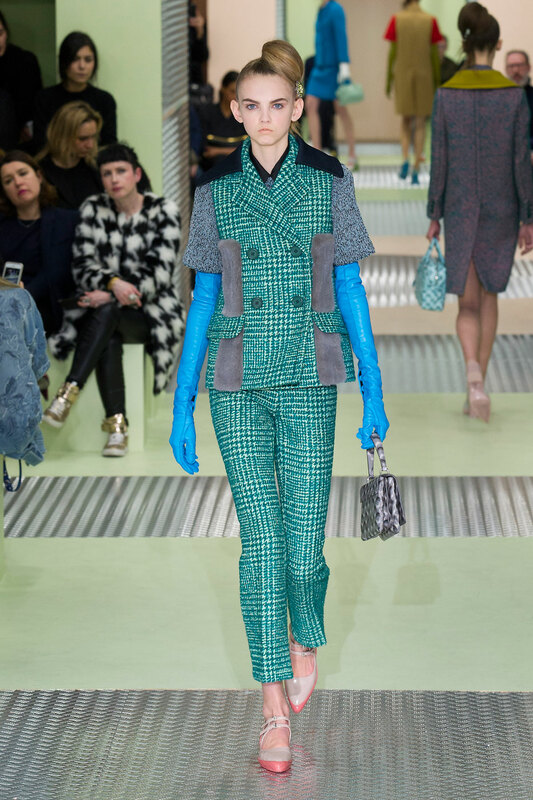 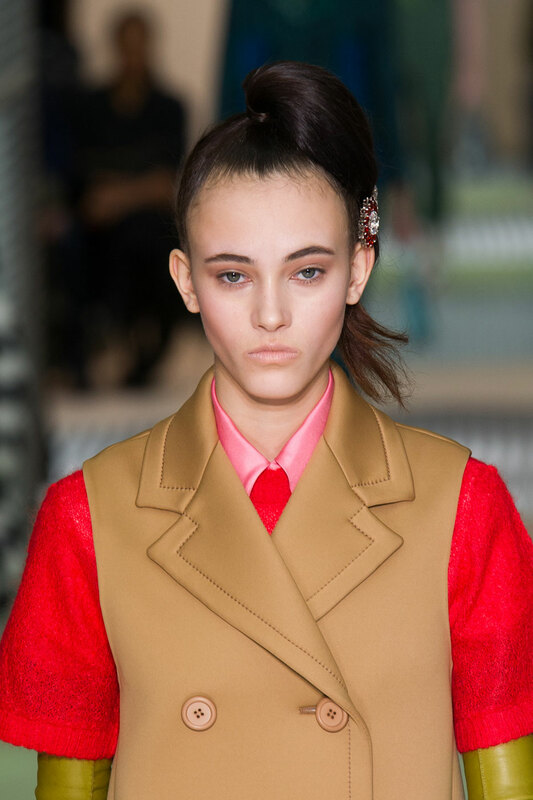 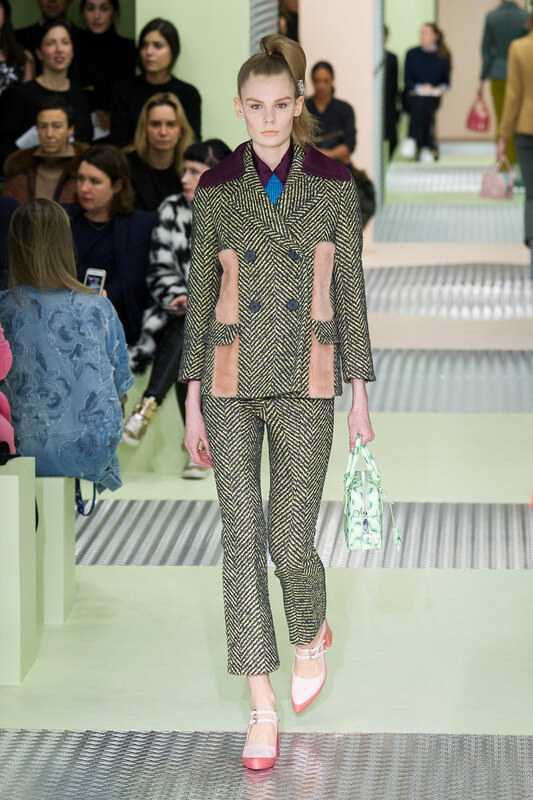 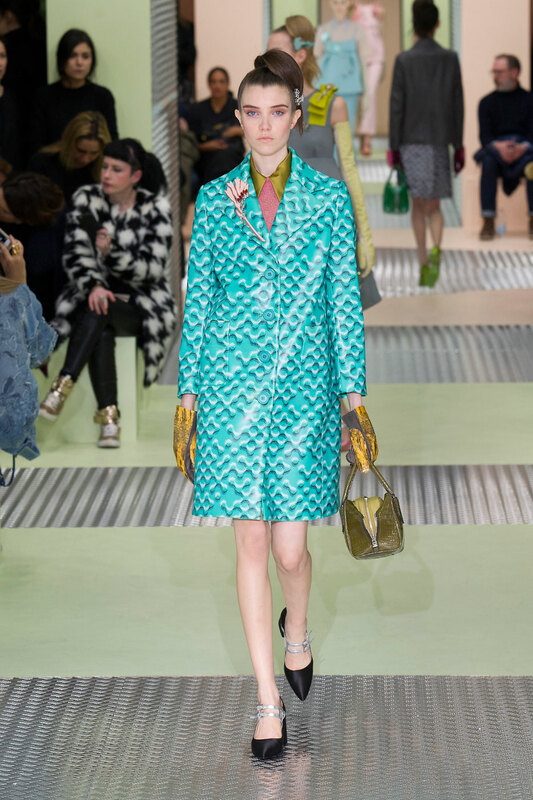 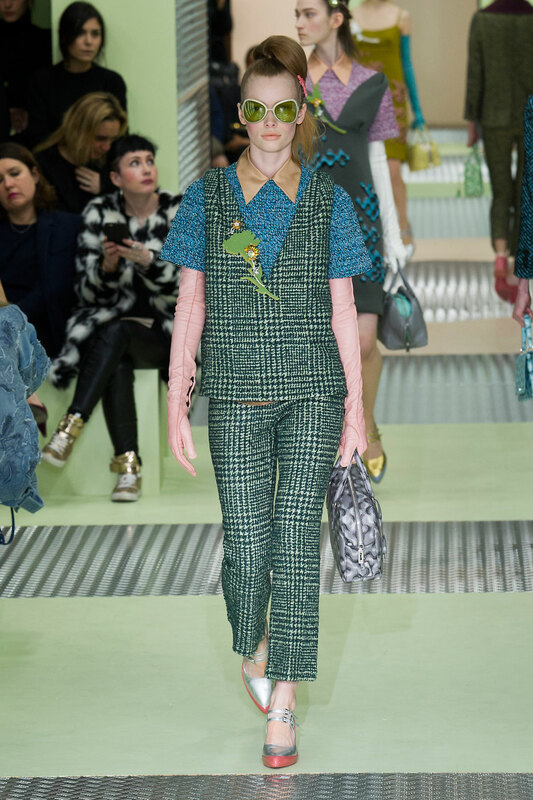 1960’s inspired coats and vibrantly coloured tweeds flooded the catwalk, all with a futuristic touch. 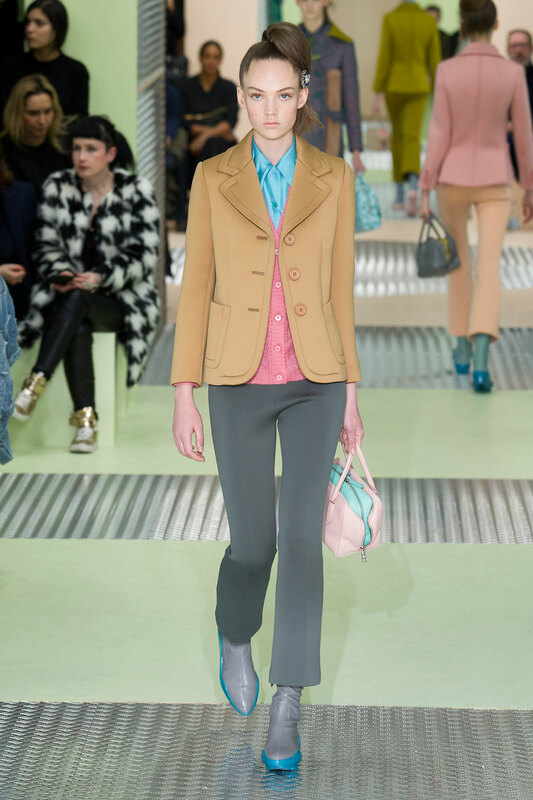 Mrs Prada explained that her menswear and womenswear collections interplay one another “For menswear, it was the possibility of beauty. 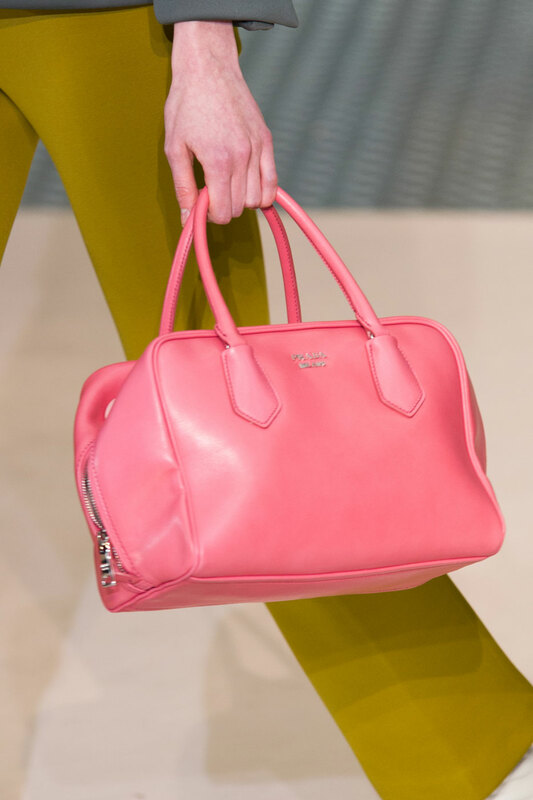 And for women’s it was the cliché.”. 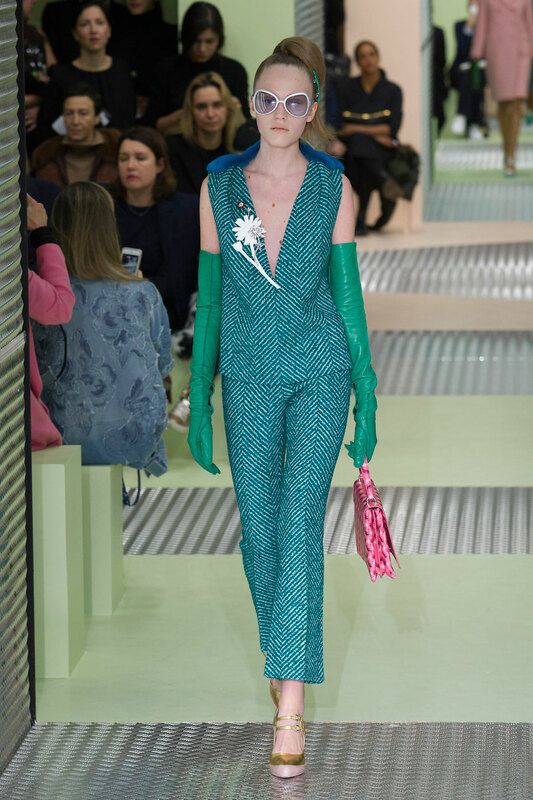 Unlike her SS15 collection, the colour scheme has a clear delicacy about it, using pastel pinks, greens, teals and mustards. 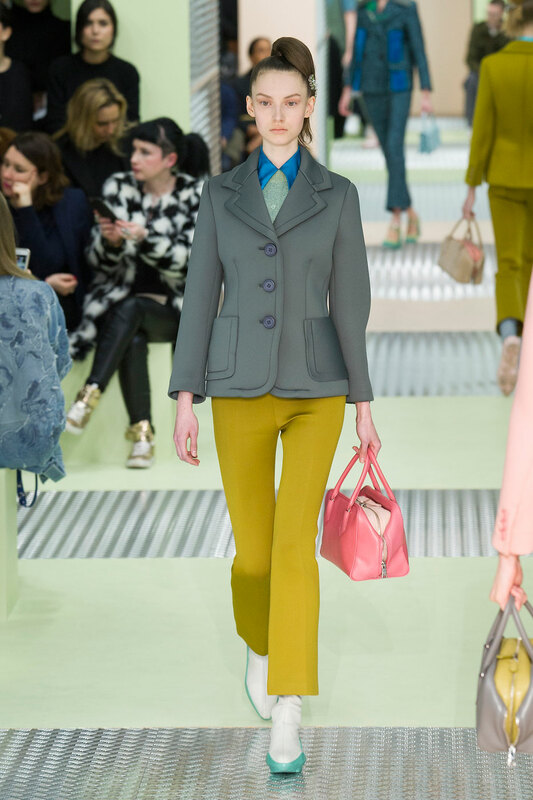 The sixties vibes are updated with clean cut double-breasted jackets and cropped trousers in neoprene materials. 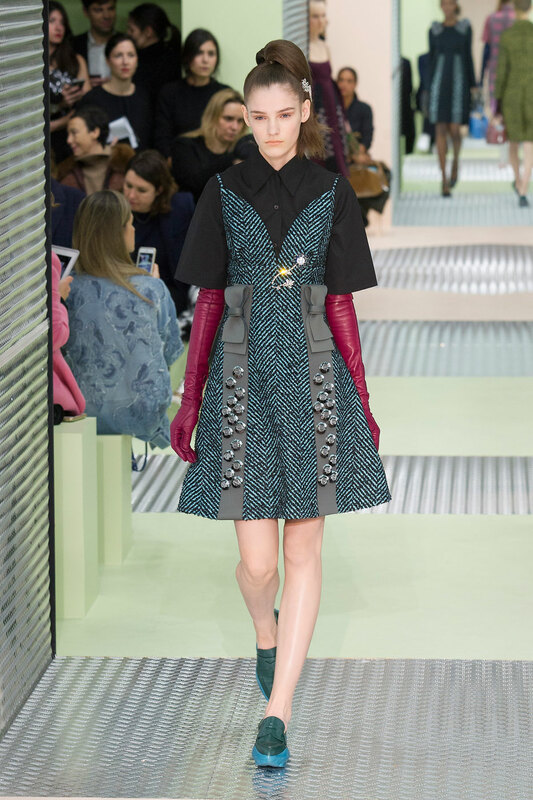 The sculpted silhouettes are complimented by intricate floral embellishment and patches of fur, adding a contemporary, premium edge to the basic sixties shapes. 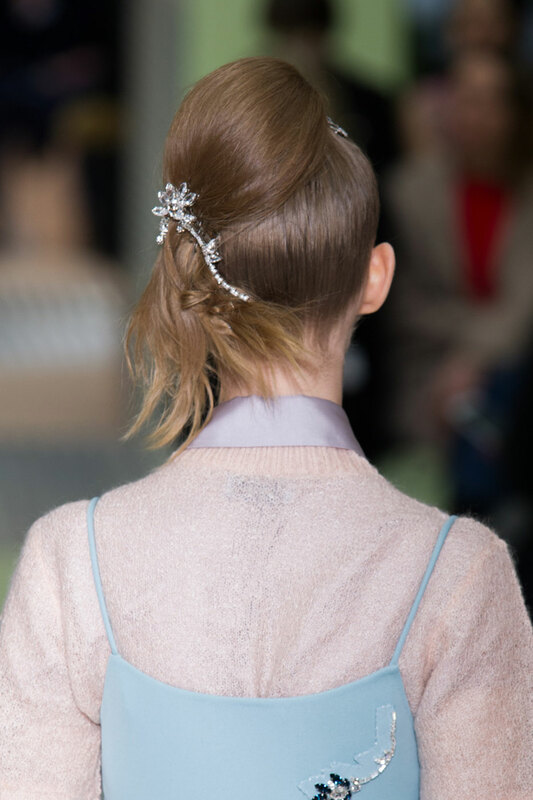 Jewels are worked into the hair, balancing the outfit whist emphasising feminine qualities in the designs. 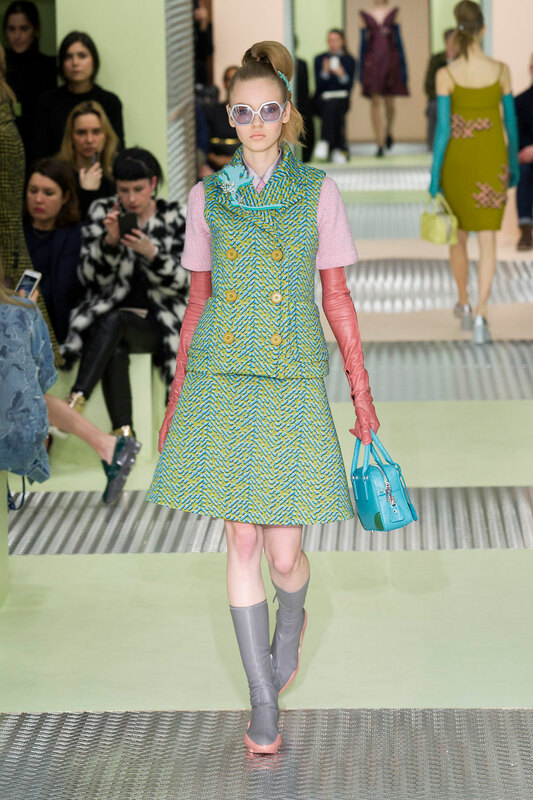 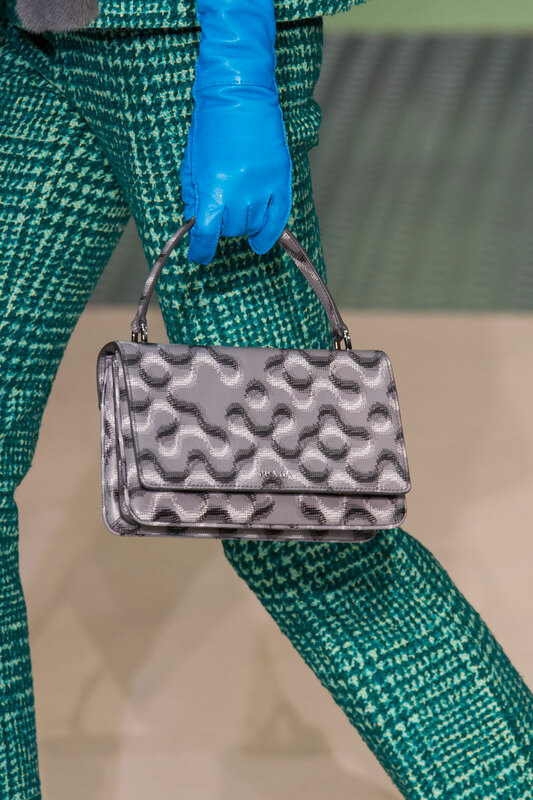 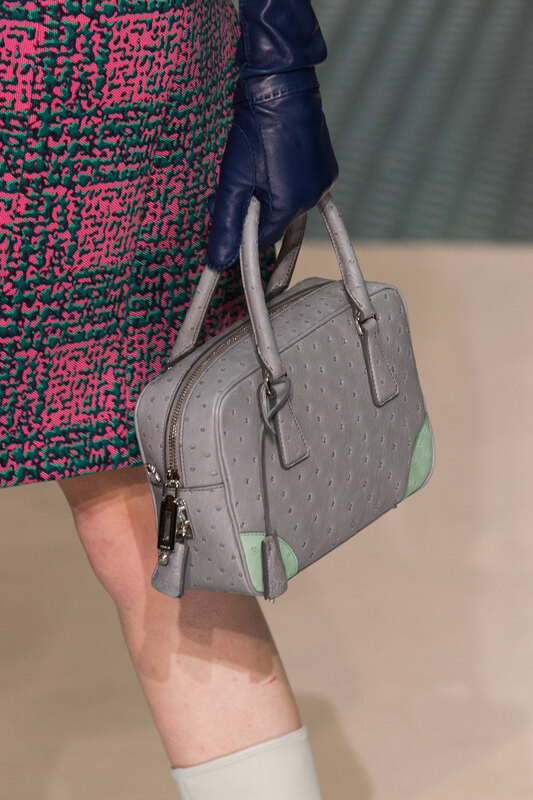 The gorgeous pastel tones are expressed through petal shaped cuts and fitted ostrich-skin gloves (some of which are contemporary garden mitts), a theme we’d expect to see in spring. 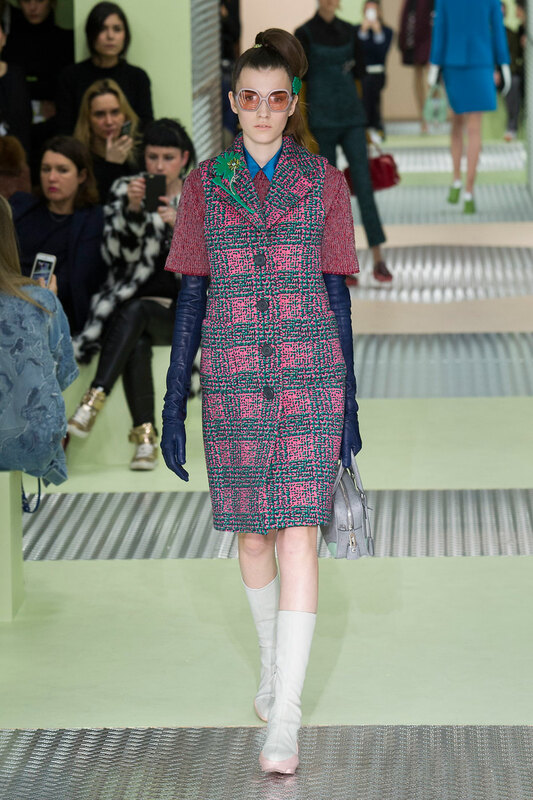 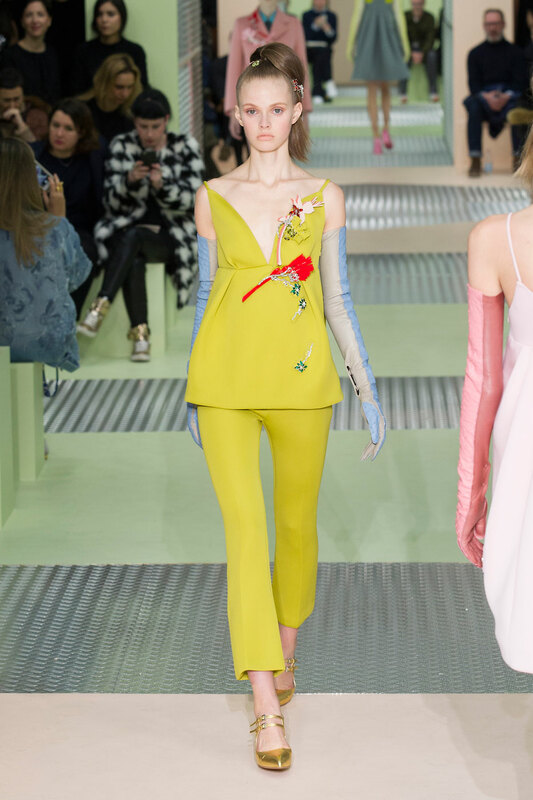 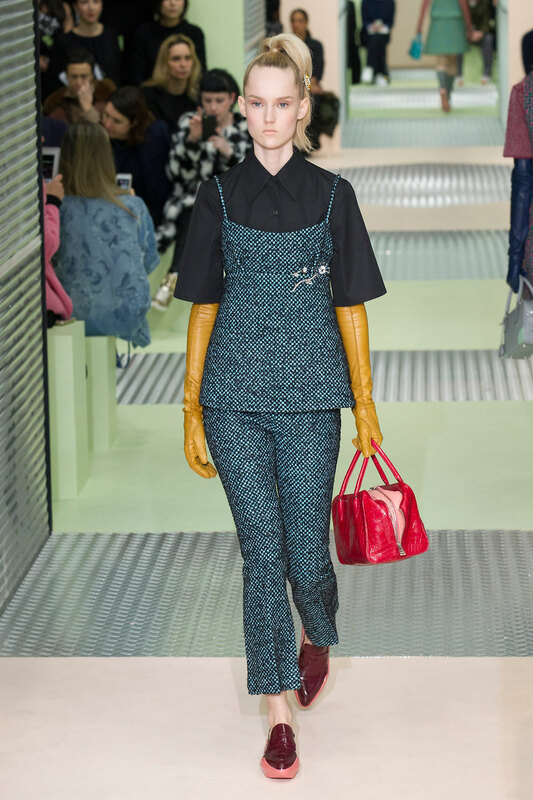 But Mrs Prada doesn’t follow, she leads; And her beautifully accentuated sixties designs and botanic details have definitely blown us away this season.